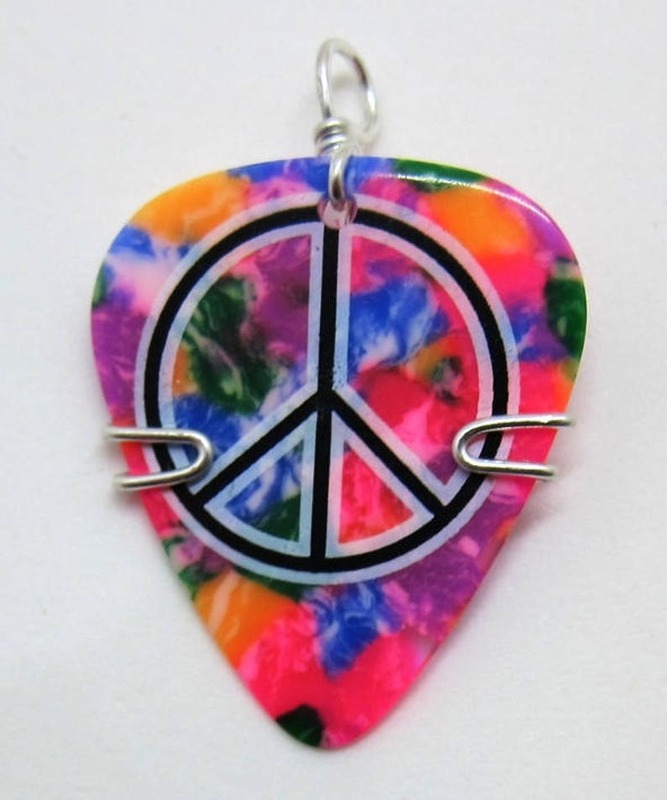 This is a tie dyed guitar pick with a peace sign on it. It is wire wrapped with silver plated copper. Thank you for checking out our jewelry.